Have you never been to Japan and is all you can do drooling over food pictures online? Or have you visited Japan and miss the taste of the delicious dishes that you've tried? Unfortunately the variety of Japanese food that you can eat in restaurants outside Japan is still limited. Sushi has been a popular dish for many years, being served at many places outside Japan as well as ramen noodle soup, which has gained in popularity in recent years. However there are way more popular Japanese dishes that are sadly not well-known in other countries, because they aren't served in many restaurants or people think they're too difficult to cook. But fear not! 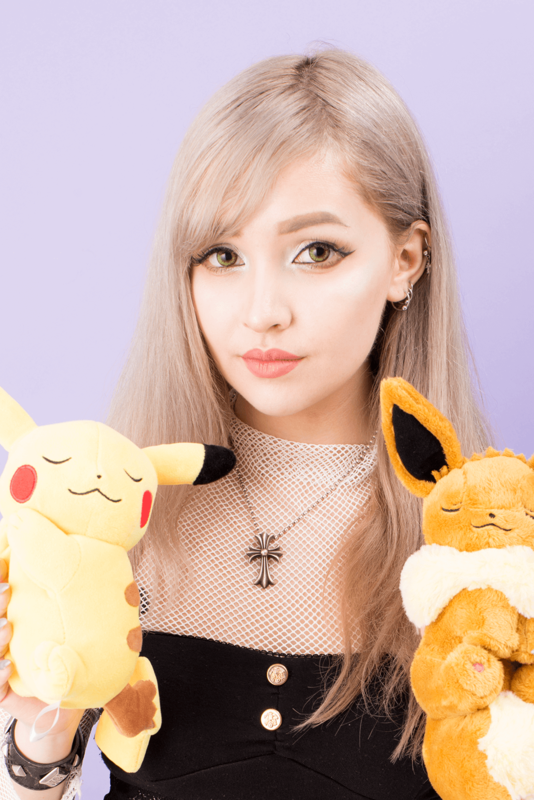 In this blogpost I will introduce you my three favorite websites when it comes to Japanese recipes. You will be able to cook delicious authentic Japanese dishes in no time! The website Japanese cooking 101 was created in 2012 by Noriko and Yuko, two Japanese women living in the United States who share a passion for homemade food. Growing up in Japan with delicious food cooked by their mothers and grandmothers they decided to share their knowledge with the world. Their focus is on fresh, simple and tasty Japanese meals that are easy to prepare at home. Also, because they have lived abroad for a long time they know what ingredients are available at local supermarkets. On their website you can find recipes of all kinds of dishes including appetizers, main dishes, side dishes, soups, desserts, rice, bread, drinks and sauces & dressings! What I like about their website is how they keep it simple, their recipes are informational and explained in steps which makes the instructions easy to understand. And as if that wasn’t enough their recipes are also shared on a YouTube channel with videos explaining and showing how to cook every single dish! Here are a few examples of food that they teach you to cook. 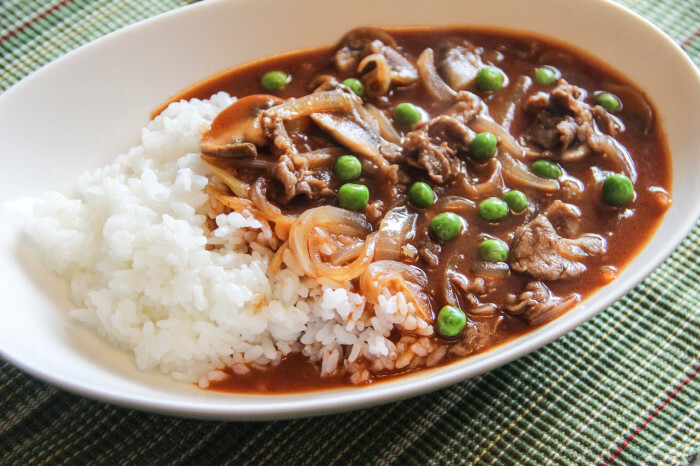 Many people have probably tried Japanese curry but have you ever tried Hayashi rice? This stew has so much flavor and is definitely perfect to eat during the colder seasons. Click here for the recipe including video! 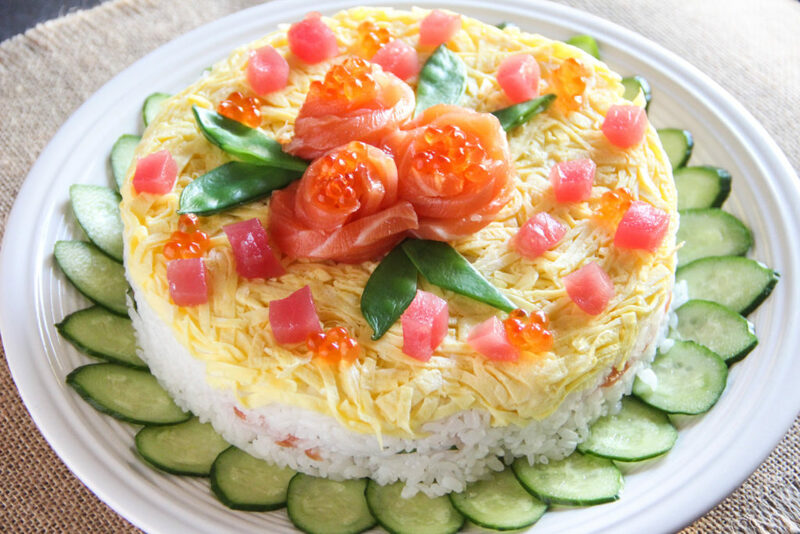 Doesn’t this sushi cake look amazing? Japanese cooking 101 also has a few original dishes to serve on special occasions! The perfect cake to serve on your birthday if you’re not into sweets. The rose-shaped salmon sashimi looks adorable! Click here for the recipe including video! 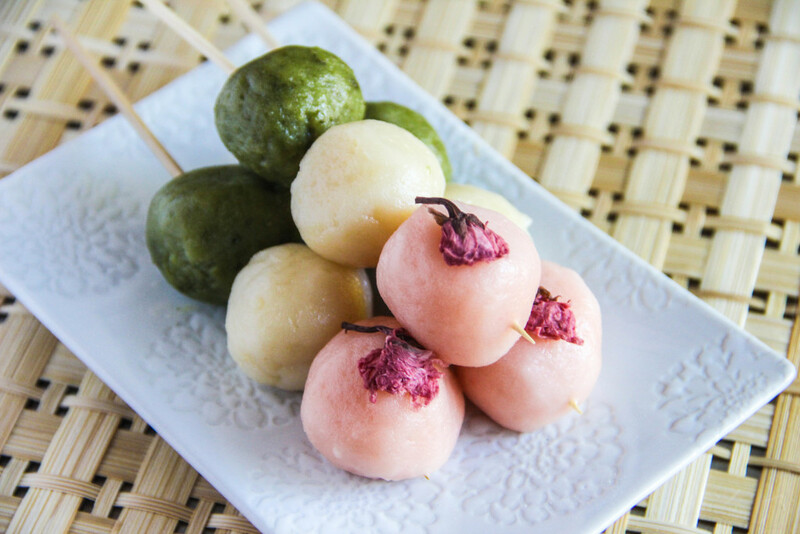 Hanami Dango is a Japanese snack often served at festivals but you can also buy it at the local supermarket. The dango balls taste very similar to mochi but more chewy! Click here for the recipe including video! You might have heard of Cooking with Dog, their YouTube channel has been around for quite some years. For over 10 years they have made about 290 recipe videos. They made quite an impression with the chef working hard while their mascot and star of the show, poodle Francis is just chilling on the kitchen counter! Sadly Francis passed away in 2016, rest in peace good boy. Their website focuses on main dishes but they also have many dessert recipes! Cooking with Dog videos have great instructions and explain every step of the cooking process really well, also: Who doesn’t want to cook with a cute dog? While their focus is on their YouTube channel they also have a website explaining every step accompanied by pictures. This is perfect if you don’t want to pause your video all the time. 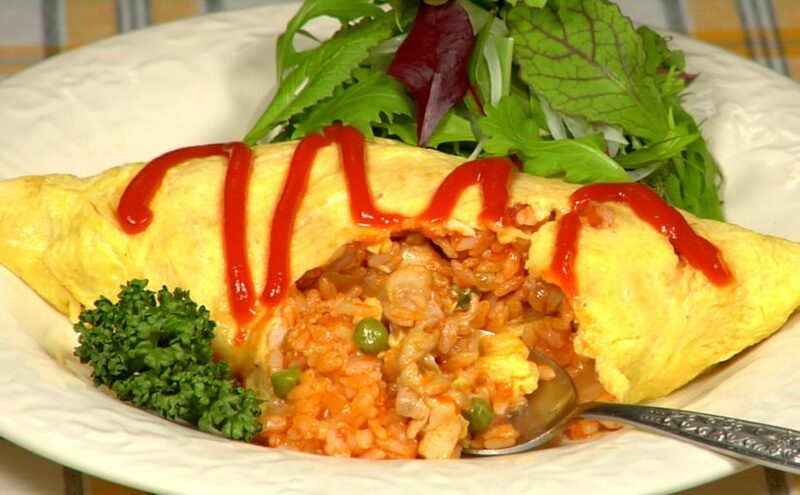 Omurice is a dish that all Japanese children love and it’s so easy to cook! The main ingredients are rice, egg and ketchup! Click here for the recipe including video! Click here for the recipe including video! 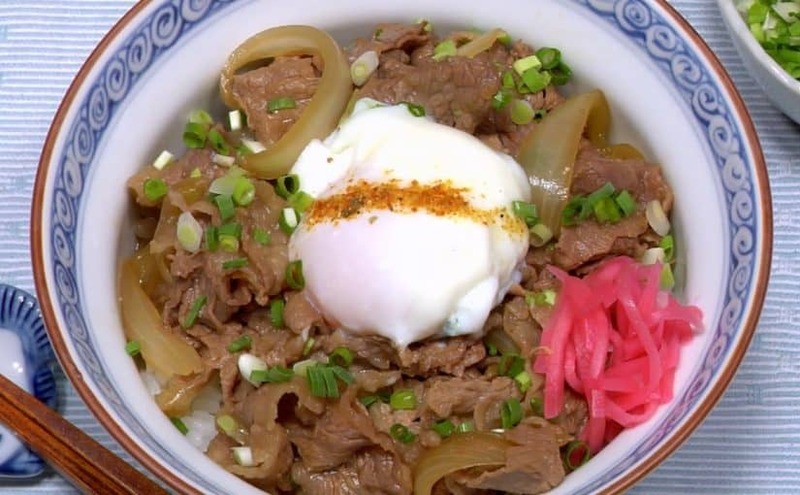 In our previous blogposts about Yoshinoya and the Disney Halloween menu we have mentioned gyudon: a beef bowl. A very simple dish for all the meat lovers! Click here for the recipe including video! Takoyaki are the famous octopus balls and very street food in Japan. 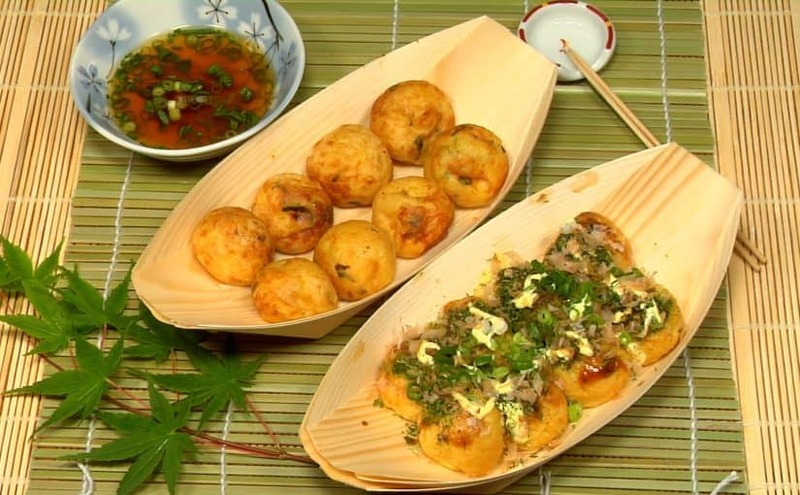 It is also very common for people to have Takoyaki parties at home and cook these octopus balls with friends or family! Click here for the recipe including video! Just like the creators of Japanese Cooking 101, the creator of Just One Cookbook, Nami is a Japanese woman living in the United States. In a similar way she learned how to cook Japanese food from her grandmother, encouraged by her friends she started sharing her recipes. Nami believes that bringing good food to the table brings a family closer. On her website she focuses on both popular and traditional Japanese dishes. Just One Cookbook's recipes have detailed descriptions and step-by-step instructions with pictures which make cooking easy and fun! Many recipes also include a video tutorial that you can watch before you get started. You can find their Youtube channel here. 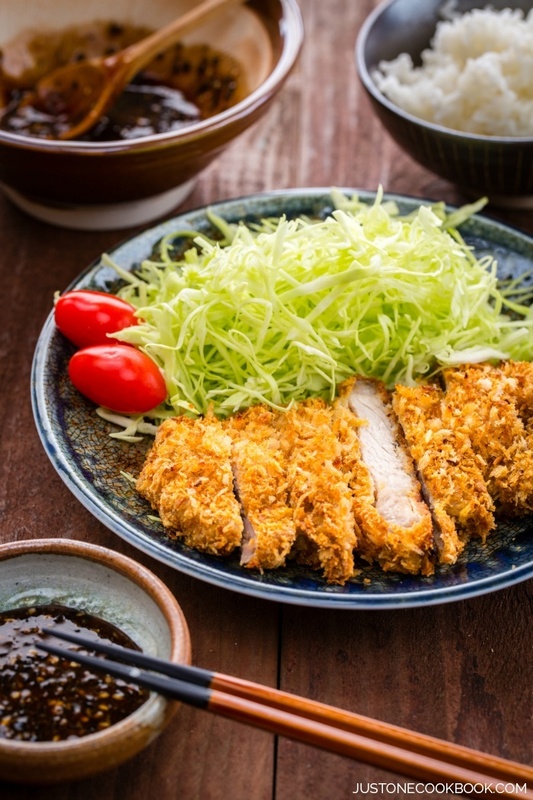 Tonkatsu is fried pork with Japanese sauce often eaten in combination with cabbage and rice! Usually Tonkatsu is deep fried but Just One Cookbook made a baked version which is easier to make at home. Click here for the recipe including video! 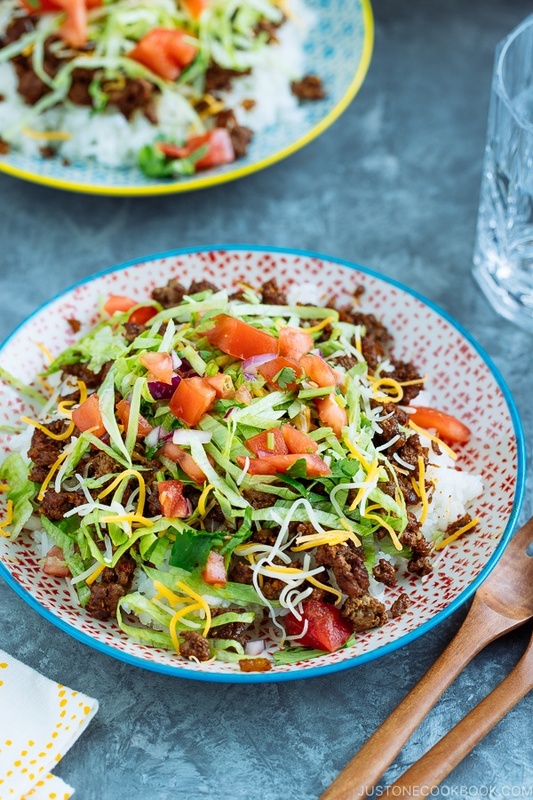 Taco rice was first created in the 80's in Okinawa, an island in the south of Japan. A Japanese chef who wanted to attract customer from the American military base made this dish inspired by Mexican tacos. Click here for the recipe including video! 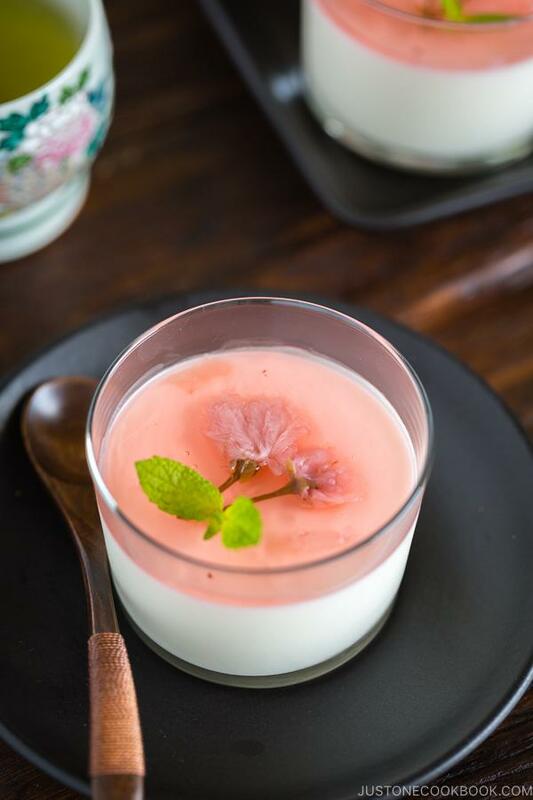 Even though it still takes a long time for next spring this cherry blossom milk pudding was just too adorable not to include. Just One Cookbook describes this pudding to be silky, light and not too sweet! Click here for the recipe including video! It's never too late to learn how to cook, hopefully you can find a recipe on one of these 3 websites to try out and bring to Japanese cuisine to your own home! Have you heard about these websites? Which recipe would you like to try? Let us know in the comments below!